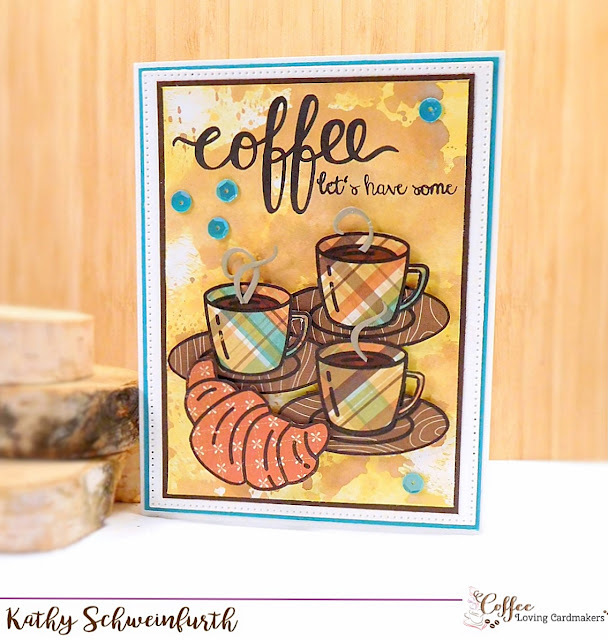 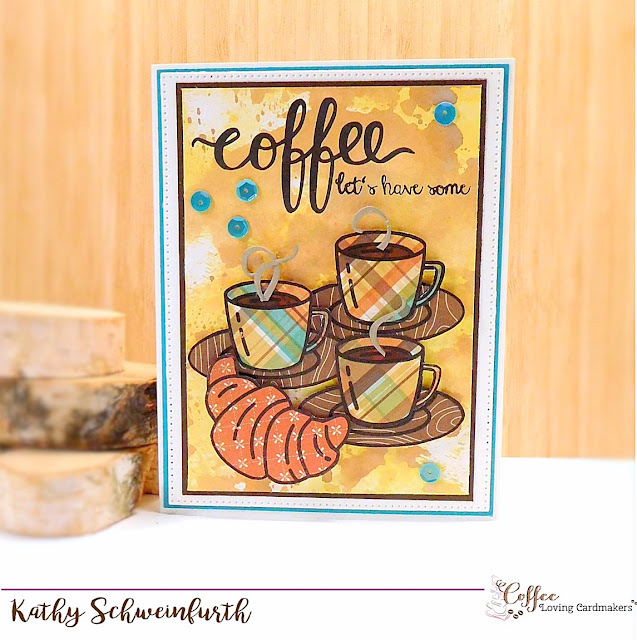 Welcome to the Saturday Coffee Café feature on the CoffeeLoving Cardmakers Blog – I’m so glad you stopped by! 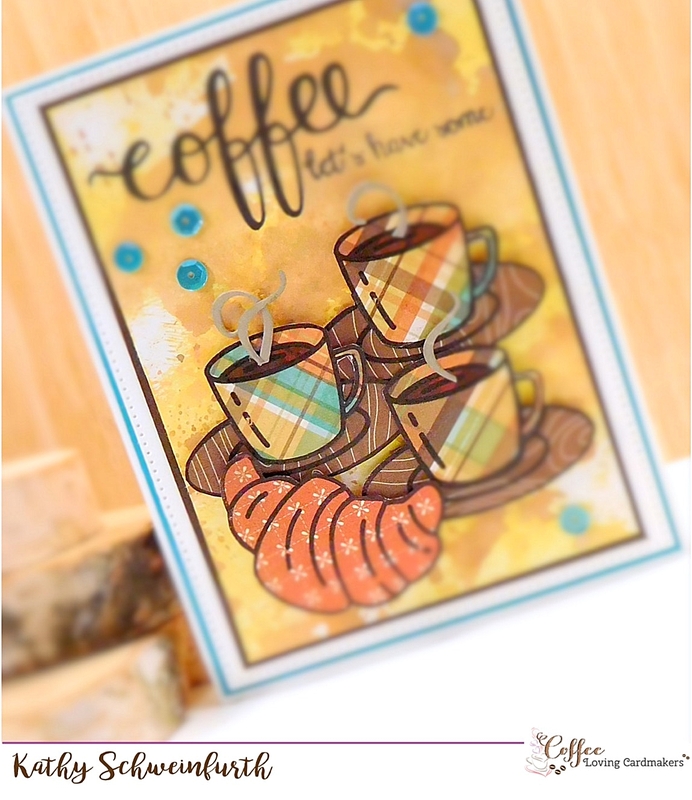 For my card, I created a background with some distressed oxide inks (love ‘em!) I used a new set I got from Honey Bee stamps – Tea Time; which works for coffee projects, too! I paper pieced the images and added the fun sentiments from the set.